Home » mrsaturn123 » Pictures » Kitty Link! I will say this immediatly, I GIVE CREDIT TO NINTENDO_NUT FOR THE WHOLE KITTY LINK IDEA! Yep. I really liked that story that you wrote, it was funny. I started this in my Algebra 1 class and finished it yesterday! I drew it mostly from memory after seeing your pic of Kitty Link and I forgot a few details but...I don't really care. lol, but at the same time wtf? This is funny i have to fav this!! MORE KITTIES!!! *grabs link* Mine! 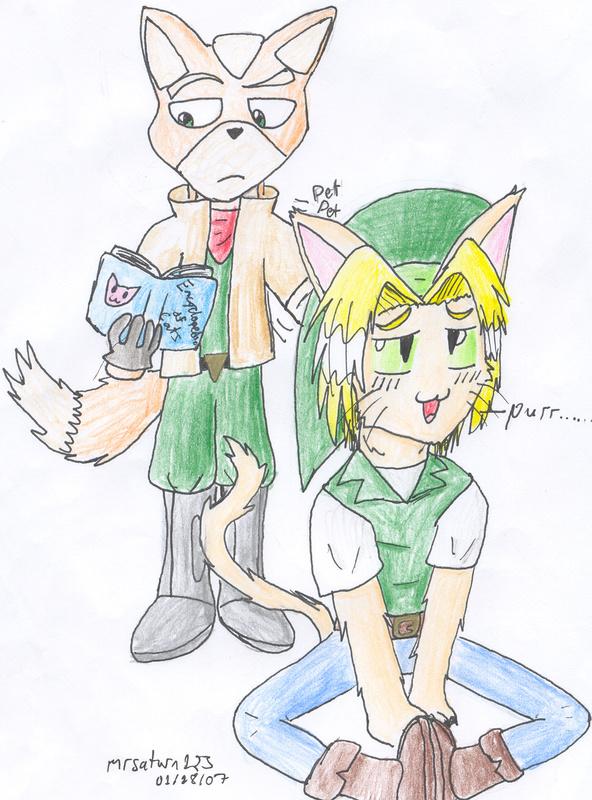 XD I love the whole thing with Fox and Link and...YEAH OMG!